If you enjoyed James Arnold Taylor's reading of an excerpt from Kenobi, well we've got a treat for you! 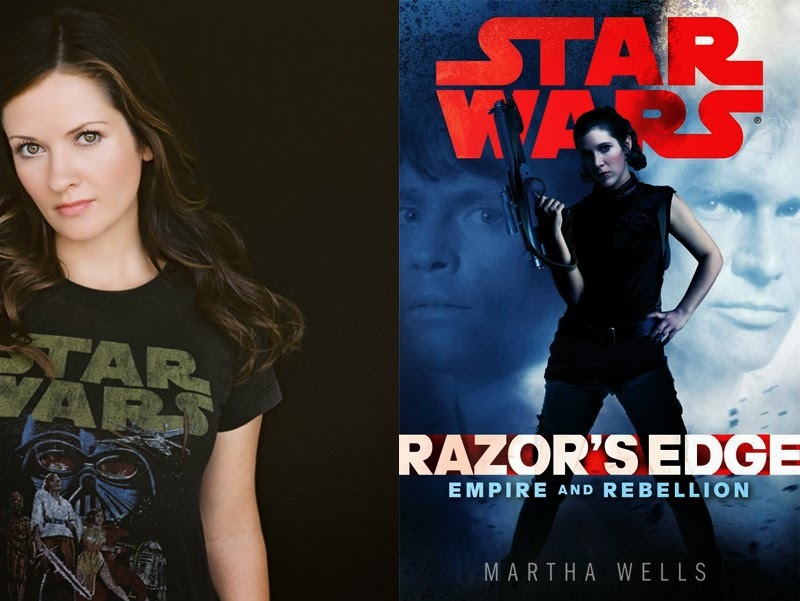 Entertainment Weekly has another such reading, this time featuring Catherine Taber (Leia in The Force Unleashed and Detours, and Padme on The Clone Wars) reading an except from Martha Wells' new novel Star Wars: Razor's Edge. And they've taken it a step further this time. Jimmy Mac, co-host of RebelForce Radio, produced the clip and included, unlike the Kenobi excerpt, features classic Star Wars music and sound effects. After hearing Taber read the novel, I must say, I hope we get to hear her as Princess Leia in the upcoming animated series Star Wars Rebels.